INROADS is a non-profit organization founded in 1970 by Frank C. Carr to fix what he perceived to be a lack of ethnic diversity in corporate America. 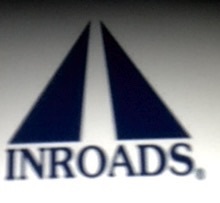 INROADS originally launched with only 25 interns working at 17 sponsoring corporations in the Chicago area. Since then, INROADS has expanded to become an international organization serving nearly 2,000 interns annually at over 200 sponsoring corporations. The organization is now based in St. Louis, Missouri. INROADS is open to graduating high school seniors and college students with two or more years left before they graduate from college. A student must have a GPA of 3.0 or better if in college. If the student is a senior in high school they may qualify with a GPA of 3.0 or better and have either an ACT score of 20 or better, SAT score of 1000 or better, or be ranked in the top ten percent of their graduating class. These qualifications may vary by affiliate however. All the internships offered through INROADS are paid internships though the actual rate of pay varies from company to company. Also in addition to working at the sponsoring company, INROADS interns are required to attend training sessions hosted by INROADS with the purpose of teaching interns business skills. Some of the many sponsoring companies are: Boeing, TD Bank Financial Group, Regions Bank, Liberty Mutual Insurance, Travelers Insurance, Target, MetLife, Pfizer, Google, Deloitte, PricewaterhouseCoopers, RBC Capital Markets, Sunoco Inc, KPMG, Bridgestone/Firestone, Allstate Insurance, Johnson and Johnson, Coca-Cola, PECO, Vanguard, United Health Group, United Technologies and Kraft. Great potential for a full-time career after graduation. A paid multi-year Internship with a top company. Customized skills development training to prepare you to contribute from Day One. Year-round professional and personal coaching and guidance from your INROADS manager. A corporate mentor who takes a personal interest in you. With INROADS, you can literally walk from the classroom to the boardroom with the confidence and experience you need to succeed.